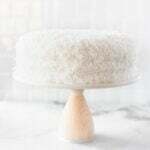 If you’re looking for a show-stopping dessert to grace your table this spring, this gorgeous coconut cake is it! 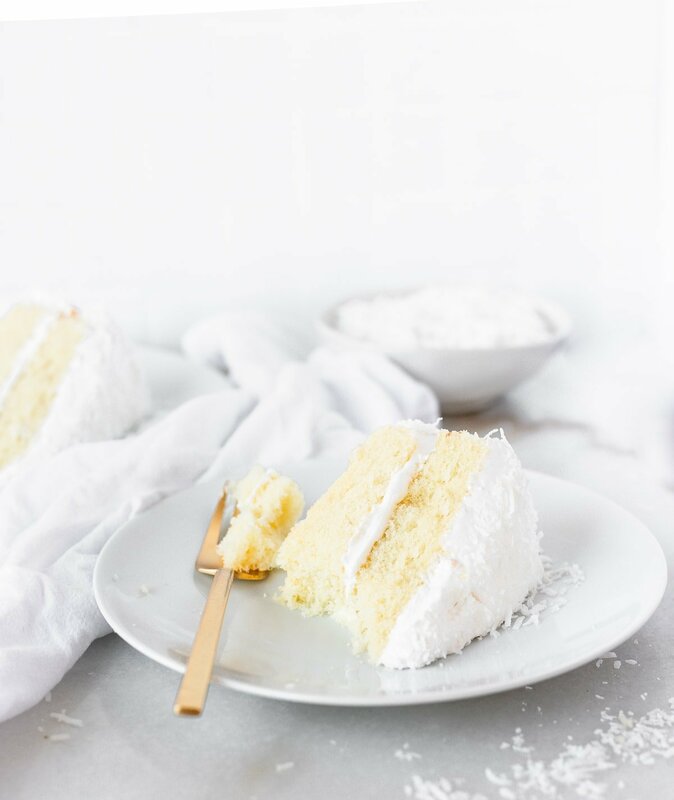 A moist and delicious white cake with light and fluffy, marshmallow-like frosting and coconut flakes is the perfect dessert for all of your springtime celebrations. While not a traditional winter dessert, this coconut cake was always made in December in our family to celebrate my grandpa’s birthday. It was his favorite cake. My birthday is also in December, so it was usually my birthday cake, too, when we had big family birthday celebrations. Which is totally fine with me, because it’s so delicious! I always thought coconut cake was more of a spring dessert, though. So I thought I’d bring it back for this month’s Recipe ReDux theme, showcasing family recipes for springtime celebrations. Like many of my favorite family recipes, this coconut cake recipe always reminds me of fond memories of gathering with my family for a big meal and a good time. Like I’ve said before, I’m not much of a baker, but this white cake is fairly straight forward. For the softest, most moist cake, beat your (fresh) egg whites just until soft peaks form, but try not to over-beat them. And very gently mix the batter together. The cake comes out beautifully and just sweet enough without being over-powering. 7 minute frosting always has a reputation for being finnicky, but this 7 minute frosting is actually pretty easy. 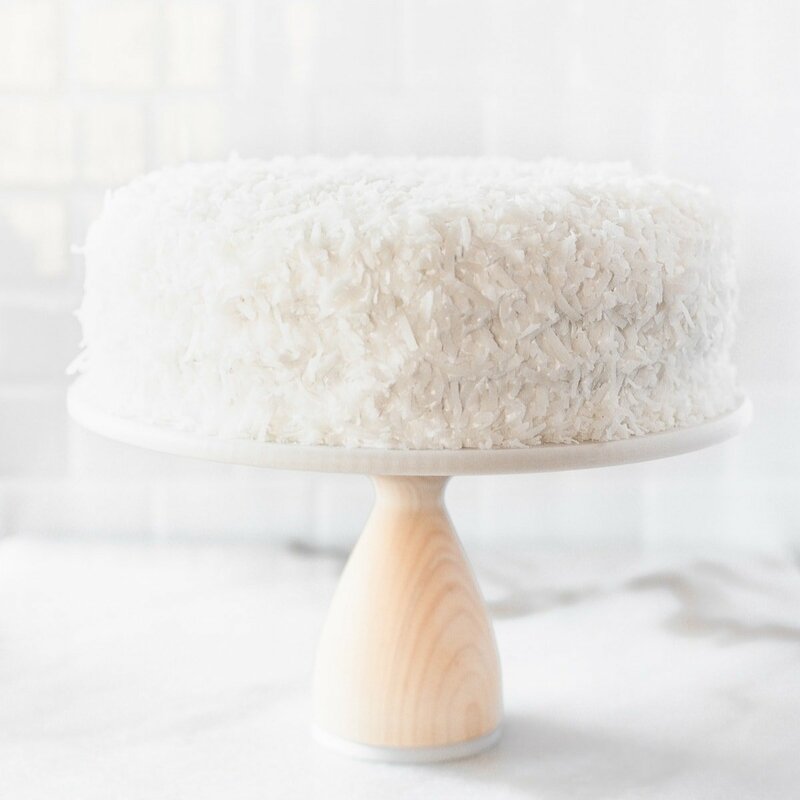 If you’ve never had it, it’s deliciously light and fluffy, similar to marshmallow cream, and it’s the perfect frosting for this coconut cake! Again, beat the egg whites until stiff peaks form, but not to the point of becoming dry. Then frost the cooled cake asap, as the frosting hardens as it sits. It will be too difficult to frost the cake if you let it sit too long. Then press on the coconut flakes and get ready to impress with this pretty coconut cake! 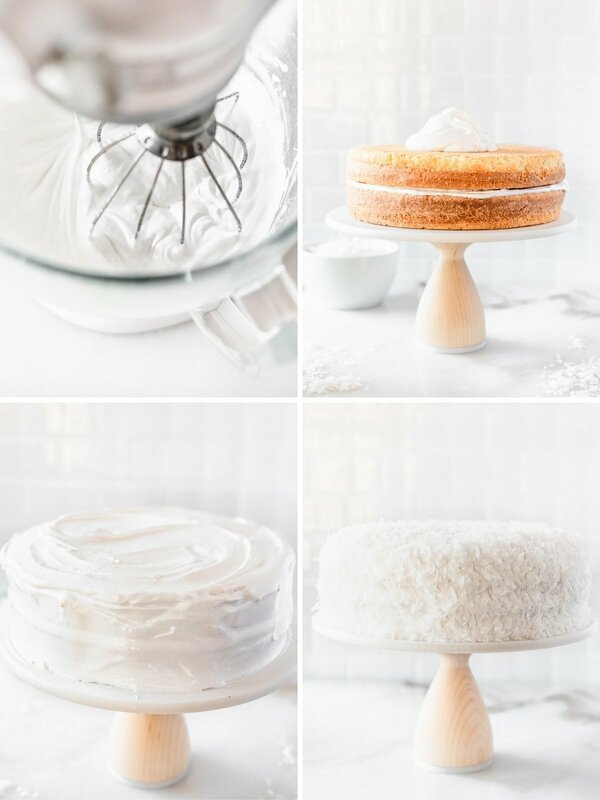 Grandpa’s favorite coconut cake with 7 minute frosting is perfect for Easter, spring brunches, showers, or even winter birthday celebrations! It’s a beautiful warm weather dessert that will look gorgeous on your tables and that everyone will love! Grease and flour cake pans (2 8″ or 9″ rounds, or a 13×9″ pan). Place parchment in the bottom of the rounds, if using. Heat oven to 350°F. In another bowl, beat together oil and 1 1/2 cups of the sugar until light and fluffy. Beat in vanilla and coconut extracts. Add flour and milk, alternating between the two in small additions. Beat until blended. 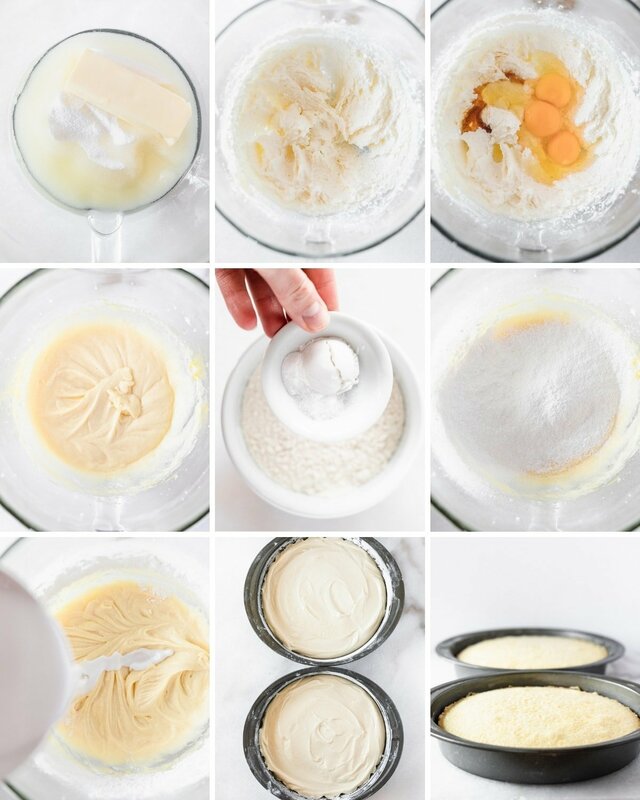 In the bowl of a stand mixer, or in a large bowl with a hand mixer, beat egg whites until stiff peaks form. Add remaining 2 tbsp sugar and beat until incorporated. Gently stir egg whites into batter. Pour batter into prepared pans. Bake 35-50 minutes, or until toothpick inserted into the center comes out clean. Cool 10 minutes before removing cakes from pans (if using rounds) to cool completely. To make the frosting, prepare a double broiler by filling a small saucepan with about 2 inches of water and bringing to a gentle simmer. In a heatproof bowl, mix sugar, water, egg whites, and cream of tartar on low speed for about 30 seconds to combine. Place bowl on top of saucepan. The water in the saucepan should not touch the bowl. Beat mixture on high speed for 7 minutes, or until it is stiff and shiny. Remove from heat, add vanilla, and beat until vanilla is incorporated. To make the frosting in a stand mixer instead of a double broiler, heat sugar and water in a small saucepan on the stove. Bring to a boil, then turn heat down and simmer for 3 minutes. Meanwhile, beat egg whites and cream of tartar to combine. Slowly pour sugar mixture into egg whites while the mixer is running on high. Beat until stiff peaks form and mixture is shiny. Mix in vanilla until completely incorporated. Frost completely cooled as soon as frosting is done, as it will firm up upon standing. 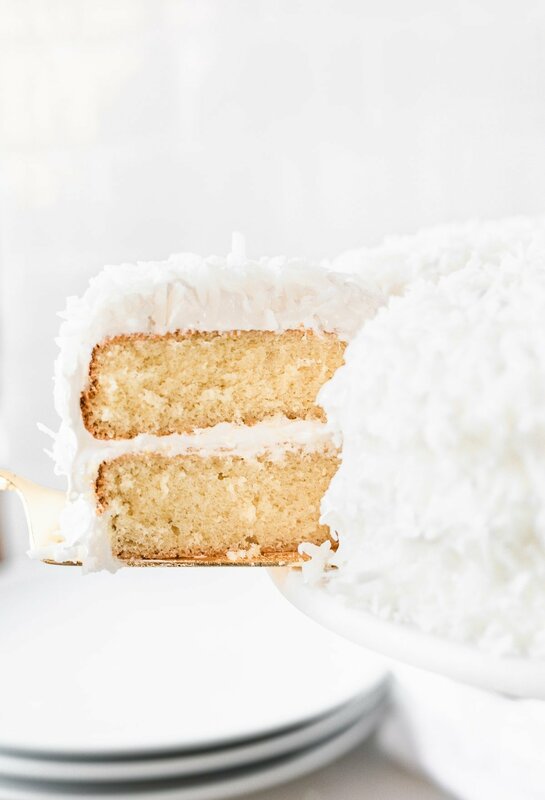 Gently press coconut into the frosting to coat the cake. **Use non-dairy milk, such as almond milk, for dairy-free option. I love coconut. This cake looks positively delicious. Thank you for the recipe.